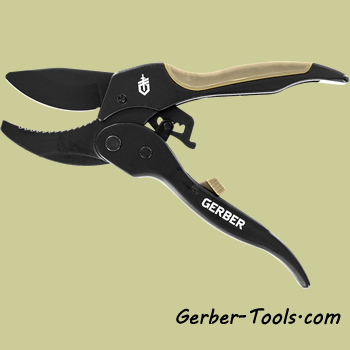 Gerber Myth Ratcheting Pruner 31-002749. 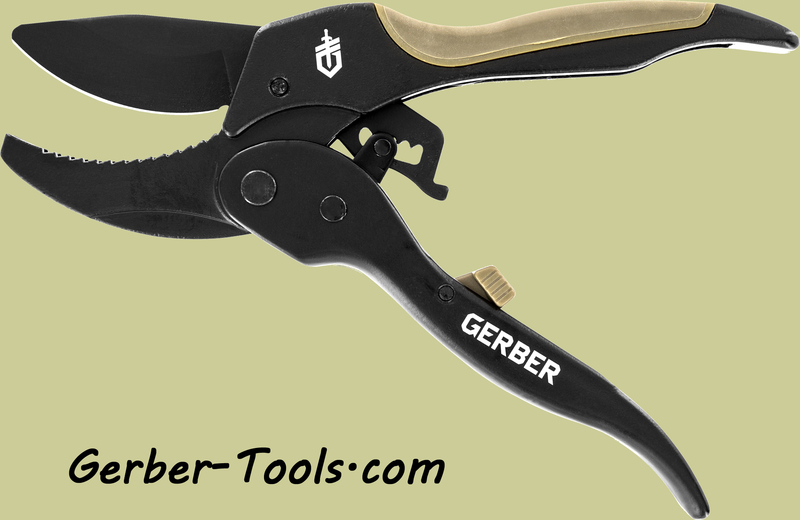 This heavy-duty pruner features 2.2 inch coated SK5 steel blades that will stay sharp while cutting tough branches. 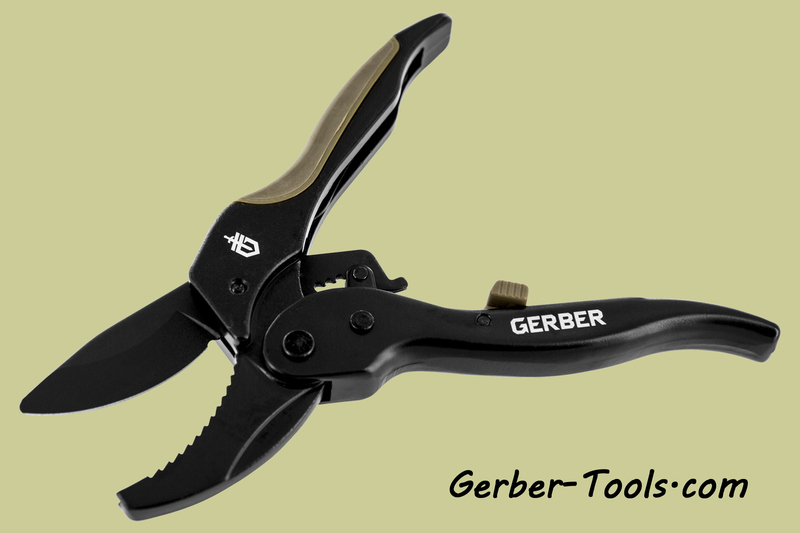 The ratcheting mechanism allows the pruner to hold in place while you re position your grip. You might notice that there are teeth in the jaws to stop from slipping while you are trying to cut. The handle is aluminum with rubber over-mold. It has an overall length of 8 inches.